The Transposition series is about reordering the material culture that surrounds us in new and unexpected ways. 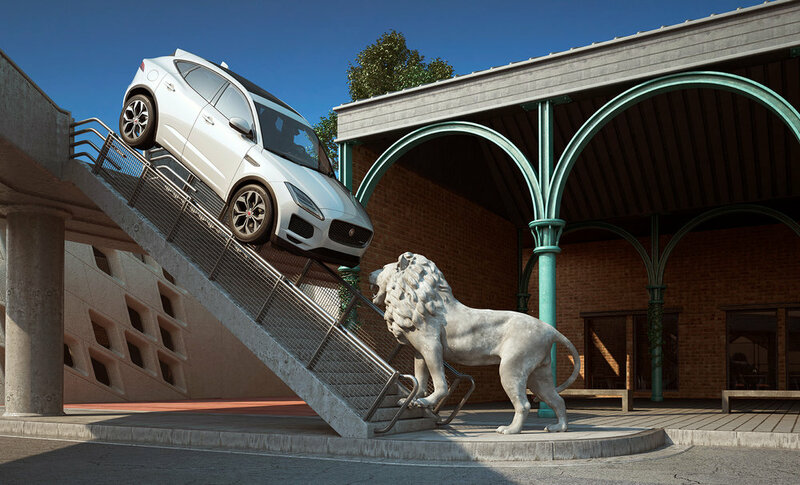 The E-PACE is juxtaposed with different objects and transposed into unforeseen scenarios where they wouldn’t normally belong. Robots appear on sidewalks and cars dance with glitter balls in surreal situations that exhibit The playfulness of the new Jaguar E-PACE.